Olga (Helga, Ukrainian Olha), the grandmother of Vladimir the Great, was born at Pskov about 890. 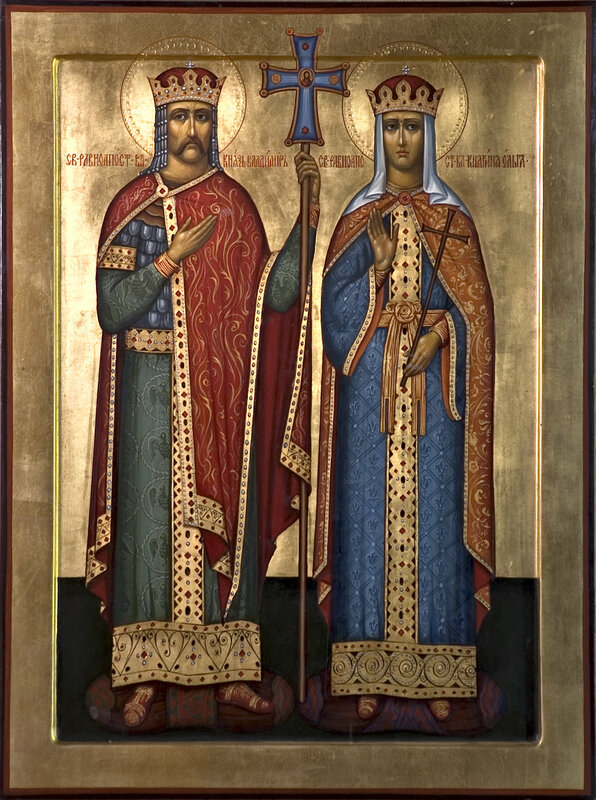 She married Prince Igor of Kiev, and after his death she acted as regent for their son, Sviatoslav. She instituted reforms of administration and finance in the Kievan Rus and was an early convert to the Christian faith among the Varangian, or Scandinavian, rulers of the Rus, a Viking-dominated territory deep in the lands of the Slavs. In 957 she visited Constantinople, where according to some accounts she was baptized, though other accounts hold that she had been a Christian for some years before her visit to the capital of the Eastern Roman Empire. Her baptism did not signal the conversion of her people, nor even of her own family, for the pagans rallied around her son, who resisted her efforts to instruct him in the Christian faith. Olga died in 969, and she is honored on July 11 in the Ukrainian and Russian Churches as Isapostolos, Equal to the Apostles. Vladimir (Ukrainian Volodymyr) was born in 956, the youngest son of Sviatoslav of Kiev and a great-grandson of Rurik, the traditional founder of the Rurikid dynasty, who ruled the Kievan Rus and its successors principalities, and of the Russian state. Vladimir was made prince of Novgorod in 970. Two years later, on the death of Sviatoslav, a fierce struggle broke out among his three sons: Yaropolk, prince of Kiev, Oleg, and Vladimir. Oleg (or Oled) was killed, and Vladimir was forced to flee to his kinsman Haakon Sigurdsson of Norway. He returned in 980 with Norse support, captured the cities of Polotsk and Smolensk, and killed Yaropolk by treachery upon taking Kiev, thereby making himself master of all the Kievan Rus. A successful military leader, he expanded Russian control from southeast Poland to the Volga valley. Although the Christian faith had won a number of converts among the people of the Kievan Rus since Olga’s time, Vladimir remained a thoroughgoing and even zealous pagan, taking numerous wives and concubines and erecting shrines to pagan gods. He may have attempted to reform Slavic paganism by promoting the thunder god, Perun, as a supreme deity. In 983, after one of his successful military campaigns, Vladimir and his army thought it necessary to offer a human sacrifice to the gods. Lots were cast indicating that a youth named Ioann was to be the sacrifice. His father Fyodor, a Christian, strenuously resisted the army’s plan, denouncing the pagan gods. “Your gods are just plain wood,” he said. “It is here now but it may rot into oblivion tomorrow. Your gods neither eat, nor drink, nor talk and are made by human hand from wood, whereas there is only one God — he is worshiped by Greeks and he created heaven and earth. And your gods? They have created nothing, for they have been created themselves. Never will I give my son to the devils!” An angry mob then killed Fyodor and Ioann, and they are venerated by the Orthodox Church as the protomartyrs of Russia. This incident may have had some lasting effect on Vladimir, because by the late tenth century, having consolidated all the eastern Slavs under his rule in Kiev, for political as well as for intellectual and spiritual reasons he wanted to know which was the true religion. The Russian Primary Chronicle describes Vladimir’s sending out emissaries to various parts of the world in turn. His emissaries were not impressed with the Muslim Bulgars, who had no joy and forbade the use of alcohol. Neither were they impressed with Judaism, for the Jewish Khazars lives in exile from their land and Vladimir had expended much effort in creating an empire and did not want to risk losing it. The Catholicism of the Germans was unattractive, their worship lacking beauty. But when the delegation finally visited Constantinople and attended Divine Liturgy in the great Church of Holy Wisdom, Hagia Sophia, they exclaimed, “We did not know whether we were in heaven or on earth! God dwells there among men. We cannot forget that beauty.” In 988 Vladimir sent six thousand troops to the Byzantine emperor Basil the Second, who needed military assistance, asking the hand of Basil’s sister Anna in return. The emperor agreed, provided that Vladimir became a Christian. Vladimir was baptized by bishops from the Empire that same year. But the emperor was then reluctant to fulfill his part of the agreement, so that Vladimir attacked the Crimea, with the result that the emperor relented, and the Princess Anna became Vladimir’s wife. She was accompanied to Kiev by priests from the imperial capital. When the royal couple returned to Kiev, the people followed their prince’s example and urging and were baptized. Despite the questionable and outright political circumstances of his conversion, Vladimir was wholehearted in his adherence to the new faith. He put away his former wives and concubines, amended his life, and publicly destroyed idols (he had the chief idol of Perun in Kiev scourged and thrown into the river). He became an ardent supporter of the Christian faith, had many churches and monasteries built, expanded judicial and educational institutions, aided the poor, and supported Greek missionaries among his people. 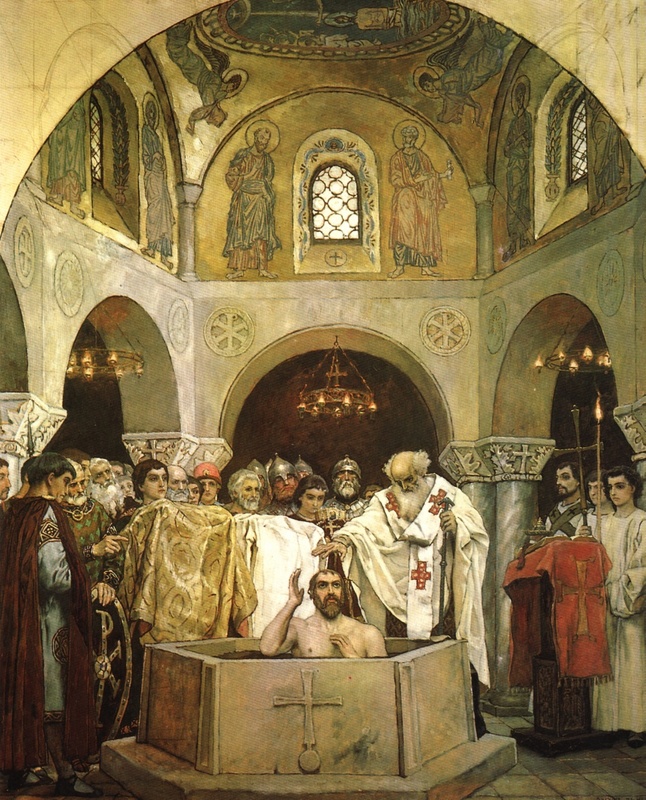 The evangelization of the Kievan Rus proceeded rapidly, in part because Vladimir relied largely on physical compulsion, punishing those who resisted baptism. The emerging Ukrainian (and Russian) Church remained under the jurisdiction of Constantinople, but it remained friendly toward the West. Vladimir’s last years were troubled by an insurrection led by his sons and by his former pagan wives, and he died in an expedition against one of them at Berestova, near Kiev, on July 15, 1015. He is commemorated on this day by the Eastern Churches as Isapostolos, like his grandmother Olga. God the All-Merciful, you brought your servant Princess Olga to the church and by the splendor of the Divine Liturgy you revealed to her grandson Vladimir the glories of your heavenly kingdom: Mercifully grant that we who commemorate them this day may be fruitful in good works and attain to the glorious crown of your saints; through your Son, Jesus Christ our Lord, who lives and reigns with you and the Holy Spirit, one God, now and forever. Amen. 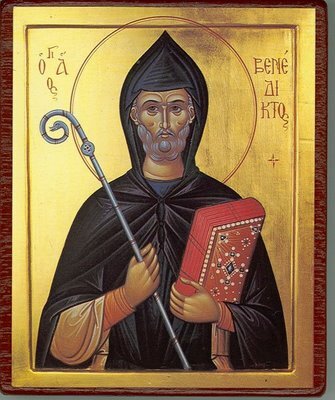 Benedict, abbot and founder of the monastic communities of Subiaco and Monte Cassino, and the author of the monastic Rule that bears his name, is the patriarch of western monasticism. The primary source for our knowledge of his life is Book II of the Dialogues of Gregory the Great. Benedict was born about 480 at Nursia in central Italy and studied at Rome, where the style of life disgusted him. Rome at this time was overrun by various barbarian tribes, and the period was one of considerable political instability (the western Roman Empire had come to an end in the latter half of the fifth century). The old Roman society of the West was breaking down, and the Germanic kingdoms of the early Middle Ages were emerging within the boundaries of the fallen empire. Benedict’s disgust with the manners and morals of Rome led him to leave the city before he completed his studies, and he withdrew to cave above Lake Subiaco, about forty miles west of Rome, where there was already at least one other hermit. After a time disciples joined Benedict, whom he organized into into a dispersed community whose life was probably semi-eremetical in character. He encountered local jealousy which is said to have caused an attempt to be made on his life, and he withdrew around 525 to Monte Cassino, near Naples, where he wrote the final version of his Rule. He does not appear ever to have been ordained or to have contemplated the founding of an “Order” of monks. He died sometime between 540 and 550 and was buried in the same grave as his sister, Scholastica. Benedict incorporated much traditional monastic teaching from John Cassian, Basil the Great, and the Rule of the Master, but the enactments of these were often considerably modified by Benedict. His outlook was characterized by prudence and moderation realized within a framework of authority, obedience, stability, and community life. His great achievement was to produce a monastic way of life that was complete, orderly, and workable, in which work and prayer were integrated. The monks’ primary occupation was liturgical prayer, complemented by sacred reading and manual work of various kinds. Benedict’s own personality is reflected in his description of what kind of man the abbot should be: wise, discreet, flexible, learned in the law of God, but also a spiritual father to his community. 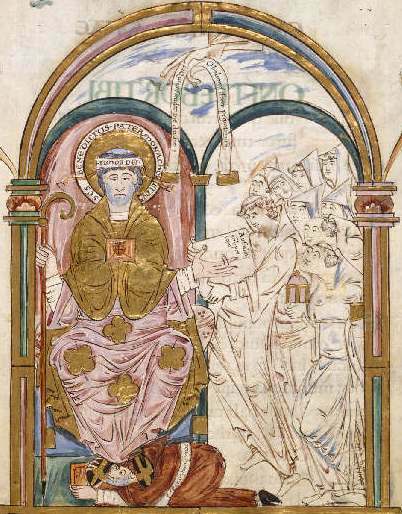 Both by its intrinsic qualities and by the favor granted it by emperors and other rulers and founders, the Rule came to be recognized as the fundamental monastic code of western Europe in the early Middle Ages. Its flexibility enabled it to be adapted to the needs of society, so that monasteries became centers of learning, agriculture, hospitality, and medicine in a way almost certainly unforeseen even by Benedict himself. The propers for the commemoration of Benedict of Nursia, Abbot of Monte Cassino, are published on the Lectionary page website. Henry Venn was born in Surrey in 1725. After his education at Cambridge, he was ordained and served several parishes in the area. In 1750, he became a curate in Surrey, where he developed the evangelical principles for which he became known. He moved to London in 1753, becoming curate of Clapham the following year, and his son John was born there in March 1759. Later that year, Henry moved his family to Huddersfield, where he served as vicar until 1771, working himself assiduously to the point of exhaustion. 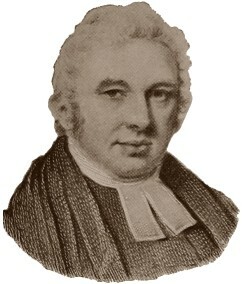 At Huddersfield his piety and zeal made a great impression, and his The Complete Duty of Man (1763), written against William Law’s The Whole Duty of Man, became popular among Evangelicals. After ill health forced his retirement from Huddersfield, he ministered to the end of his life in the living of Yelling, Cambridgeshire, where he influenced the great Evangelical priest and preacher Charles Simeon. 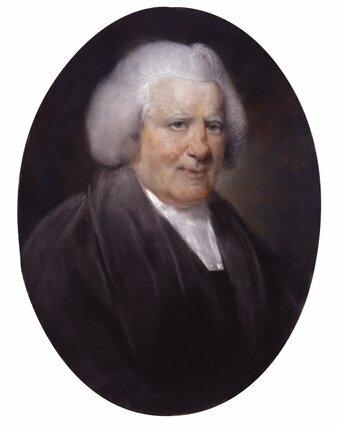 John Venn was educated at Sidney Sussex College, Cambridge, and became rector of Little Dunham in Norfolk, and eventually of Clapham in 1792. He was one of the founders of the Church Missionary Society in 1797. It was at Clapham that he became a central figure in the group of Christian philanthropists known as the Clapham Sect. John was also an active participant in the movement for the abolition of the slave trade. 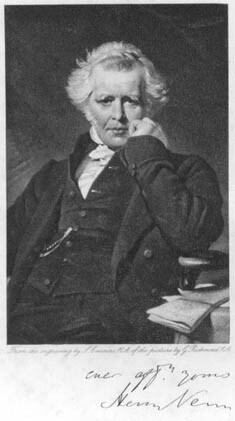 John’s son, Henry Venn the Younger, was born at Clapham in 1796. After his education at Cambridge, he was ordained and held various livings, eventually devoting himself in 1846 entirely to the work of the Church Missionary Society. He was secretary for thirty-two years, and his organizing gifts and sound judgment made him the leading member of the Society. His aim was that overseas Churches should become “self-supporting, self-governing, and self-extending”. He was instrumental in securing the appointment of the first African Anglican bishop, Samuel A. Crowther, in 1864 (see the entry for December 31). The elder Henry Venn died on June 24, 1797, at his son’s rectory in Clapham. John died at Clapham on July 1, 1813; and his son Henry died at Mortlake, Surrey, on January 13, 1873. Almighty God, whose will it is to be glorified in your saints, and who raised up your servants Henry Venn, John Venn, and Henry Venn the Younger to be a light in the world: Shine, we pray, in our hearts, that we also in our generation may show forth your praise, who called us out of darkness into your marvelous light; through Jesus Christ our Lord, who lives and reigns with you and the Holy Spirit, now and for ever. Amen. My apologies that I was late in posting this.